Before I unveil this month's Birchbox, I want to thank Birchbox for the amazing opportunity to attend the red carpet premiere of Delivery Man, starring Vince Vaughn. The movie was hilarious and had a touching ending. If you're looking for a fun movie to watch over Thanksgiving weekend, opens November 22, check out Delivery Man. 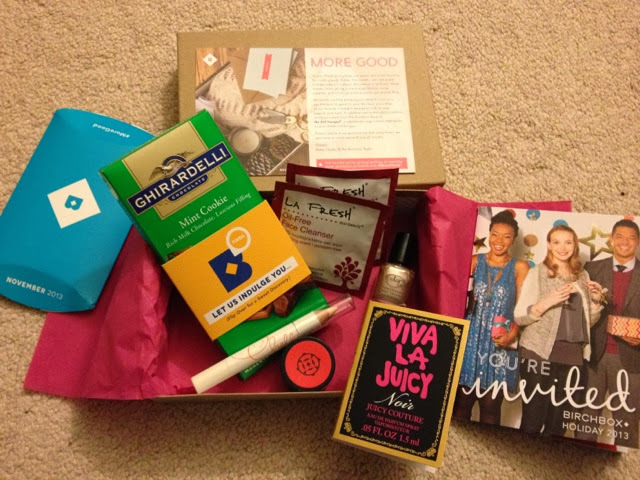 On to my Birchbox.. Themed #MoreGood, this box had some products that really will do more good for my beauty routine this month. Haven't joined yet? 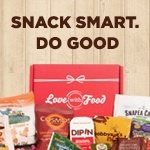 Get your goodies today for $10/month! - The Chella highlighter pencil will be used to highlight my brow bone, cheeks and whatever else I'm in the mood for! - Ghirardelli chocolate bar in mint cookie- will be great for my sweet cravings!